One of the best ways to prepare yourself for conducting a SWOT analysis is to use SWOT analysis examples for help and inspiration. Editor’s note: This article was updated in November of 2017. 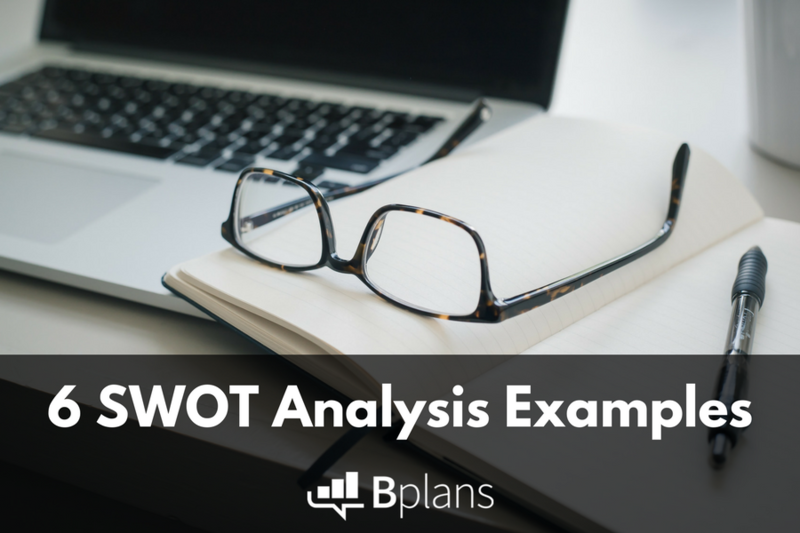 One of the best ways to prepare to conduct a SWOT analysis is to use examples for help and inspiration. Even if you already know what a SWOT analysis is and what it’s used for, it can be tough to translate that information and examine your own business with a critical eye. Reading an example SWOT analysis for a business that is either in your industry or based on a comparable business model can help get you started. Personally, I recommend reading at least three—since they are prioritized lists, SWOT analyses are by nature pretty short, and the more examples you look at the more likely you are to spot ideas that are relevant to your own business needs. 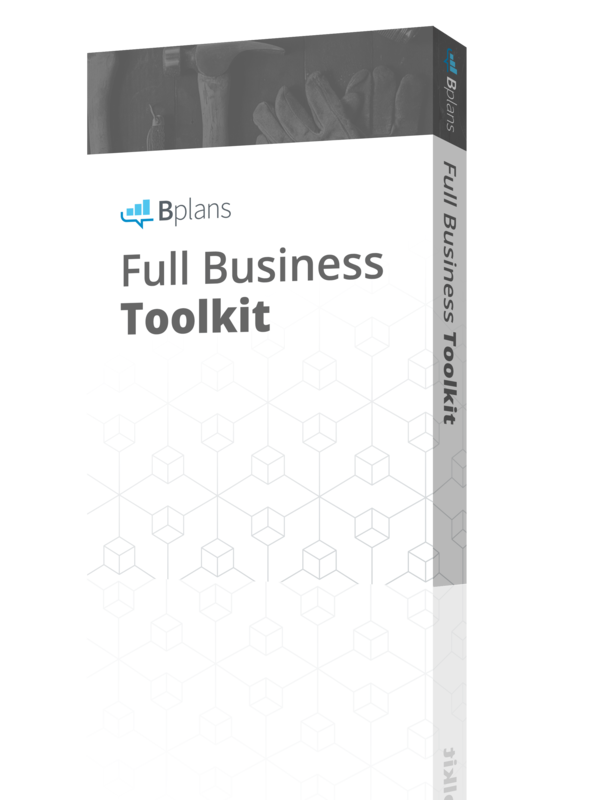 All of our SWOT analysis examples are based on real businesses that we’ve featured in our gallery of free example business plans. The SWOT analyses are broken into three parts: First, we give you a quick introduction to what the company’s about (and if you want to know more about them, you can always read their complete business plan); second, the SWOT analysis; and lastly, some discussion of potential growth strategies for the business based on what’s revealed by the SWOT analysis. When you’re ready to get started on your own SWOT analysis, you can use our free SWOT analysis template (available as a PDF). Sedibeng Breweries is a medium-scale brewery located in the growing industrial center of Selebi Phikwe, Botswana. Their product is traditionally-brewed craft beer, targeted at white collar and working class Batswana alike. Sedibeng’s primary market advantages are their company culture, consistent “quality” branding, traditional brew recipes, and commitment to rural distribution. 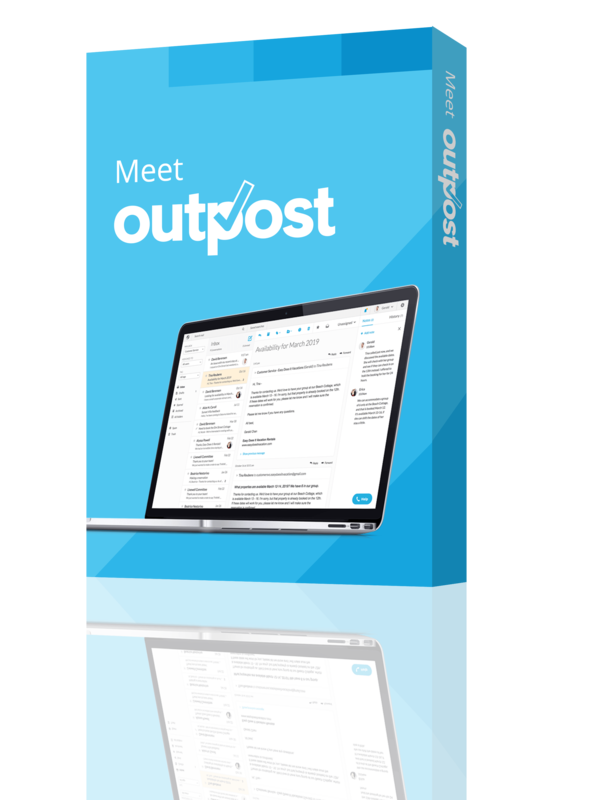 Build an online presence. Building and learning how to manage a basic website could be a huge marketing asset for Sedibeng. 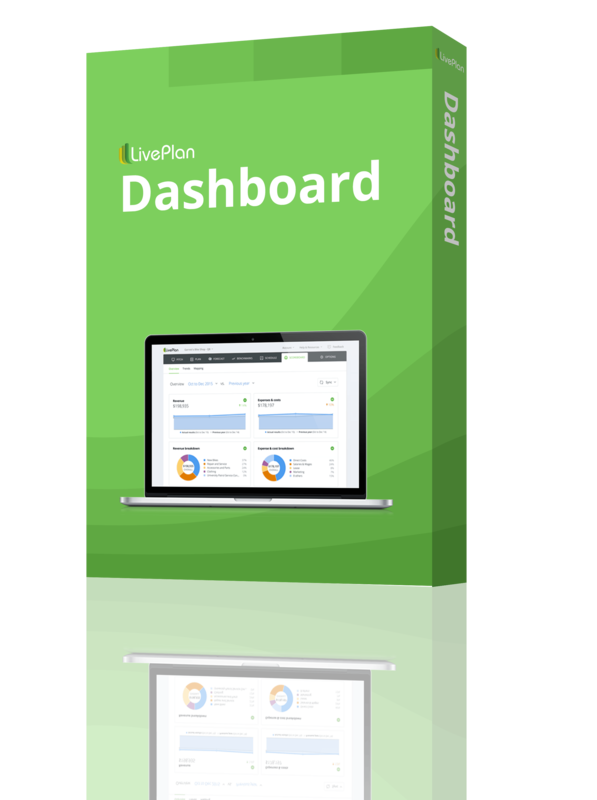 Operating without a website is increasingly rare, and ignoring this weakness for too long could have disastrous consequences. Employee training. Developing an efficient employee onboarding process and training program will be increasingly critical to the company’s ability to grow and manage culture. Expansion. 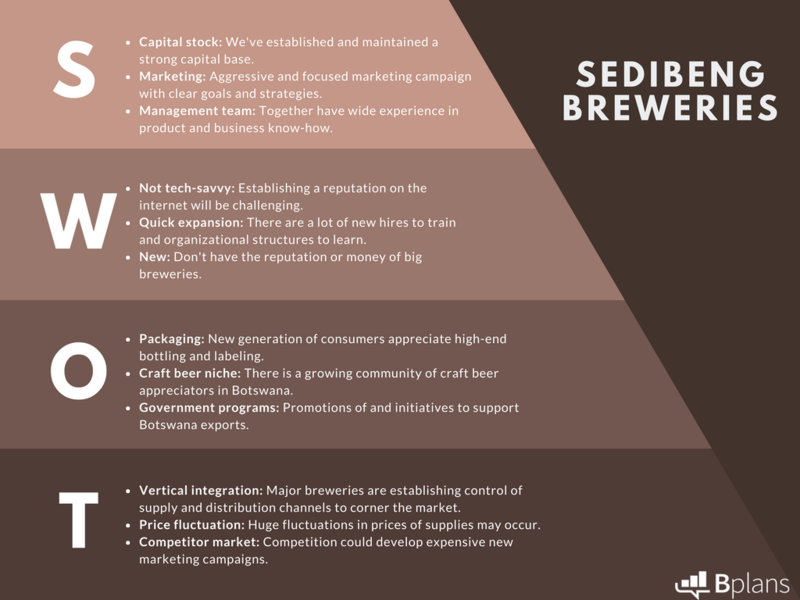 A potential business opportunity for Sedibeng Breweries is a government-subsidized export operation, ideally to target markets in neighboring countries that are very similar to their target markets in Botswana so that Sedibeng’s strong marketing campaign can remain consistent. This is one area in which being a small local firm could be a major advantage, but international market research and more information about the government export initiatives are required. Botanical Bounty is an Oregon-based perennial farm that grows a variety of botanical, medicinal plants. This family-owned farm has been in existence for two years, initially operating as a hobby for the owners—who have training in plant biology—rather than as a profit-producing business. Customer testimonials. Botanical Bounty needs to establish its reputation as a highly-efficient, high-potency medicinal herb grower, and one effective and inexpensive way to do that would be to lean on loyal customer testimonials in the company’s marketing strategy. Sales channel relationships. 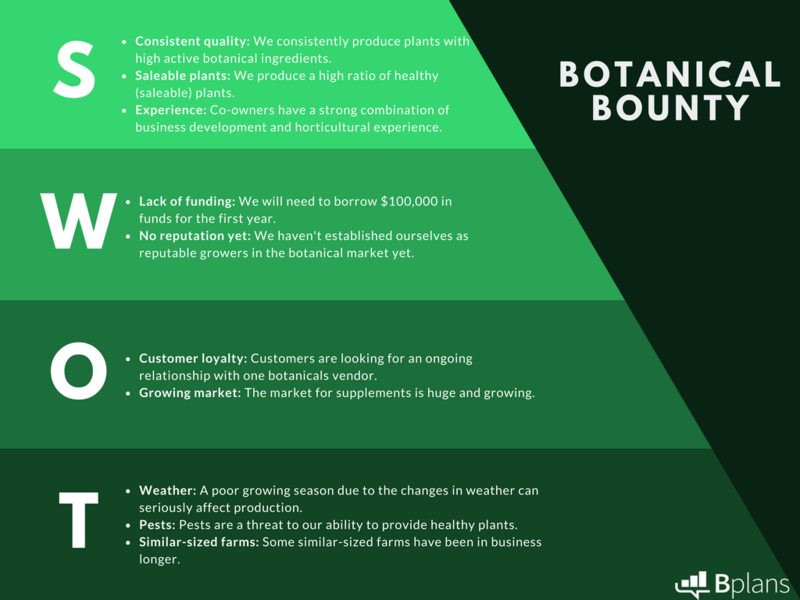 Botanical Bounty also needs to establish a strong sales channel with herbal supplement manufacturers, and should invest plenty of energy into building those relationships and establishing Botanical Bounty as a reliable vendor. UPer Crust Pies is a specialty meat and fruit pie cafe in Michigan’s Upper Peninsula that sells hot, ready-to-go pies and frozen take-home options, as well as an assortment of fresh salads and beverages. The company is planning to open its first location in downtown Yubetchatown and is very focused on developing a business model that will make it easy to expand quickly and that opens up the possibility of franchising. Access startup funds. UPer Crust Pies needs to investigate its options for obtaining capital. 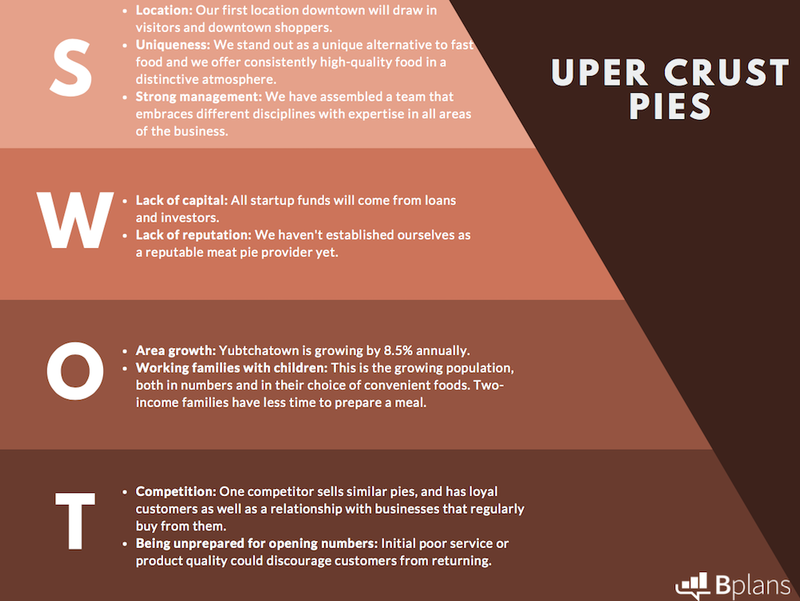 Funding a new business can take time, and the sooner UPer Crust Pies gets started on this process, the better. Create a marketing plan. Because UPer Crust Pies wants to implement such a specific marketing strategy—targeting working families by emphasizing that their dinner option is both healthy and convenient—the company should develop a marketing plan. A strong grand opening will help establish the store’s reputation, so it is essential that the UPer Crust Pies team feels ready for its first day. If the management team feels unprepared for the potential large crowds, a “soft” opening (such as an invite-only trial opening that offers free meals in exchange for feedback) may be a smart choice. Haley’s Vintage Hats is an online-only business that sells unique and affordable replicas of vintage designer hats. Although the business is new, owner Haley Truit has been a milliner for many years. She operates Haley’s Vintage Hats through an Etsy storefront and hopes that it will become successful enough that she can quit her other job and run her dream company full-time. Resources and education. 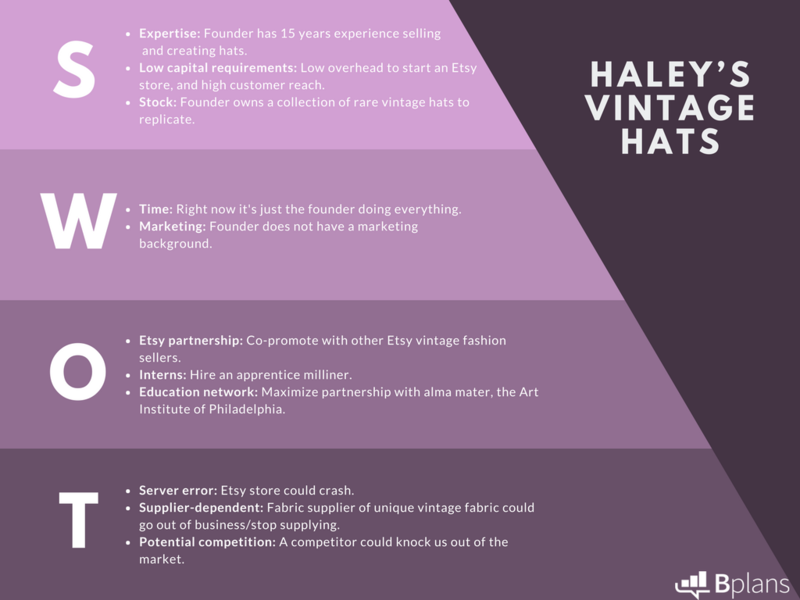 Haley’s Vintage Hats should take full advantage of the opportunities available to it as an Etsy seller; those opportunities are part of what the company is paying Etsy to provide. Partnering with other vintage fashion vendors on Etsy could help Haley address her lack of a marketing background, which she’s identified as a major company weakness—she could piggyback on partners’ marketing efforts, or learn from a partner who is willing to mentor her. Haley can also teach herself by exploring free online marketing resources on Etsy, Bplans, and elsewhere. Hire an intern. Haley’s expertise as a milliner makes her a great candidate for hiring an apprentice or intern, and developing an apprenticeship program could help the company cheaply expand its production capacity and support the increase in sales that would come with its expanded marketing efforts. Replay Plastics recycles plastic waste into commercially viable products, using environmentally-friendly methods. 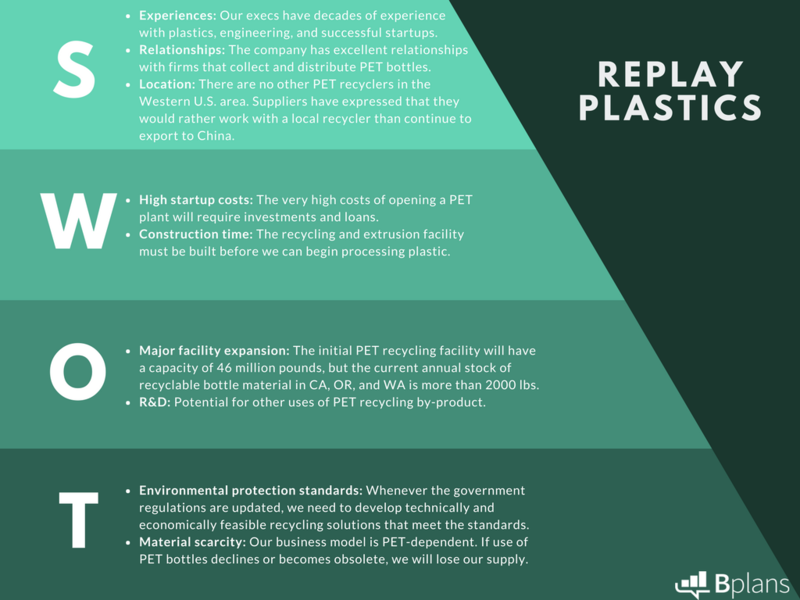 The company wants to capitalize on one of the recycling industry’s highest-growth products—polyethylene terephthalate (“PET”), which is found in post-consumer beverage and water bottles—by establishing the western United States’ first PET recycling plant. The recycled material from the PET plant will then be channeled into a brand-new Replay Plastics Packaging Division, which will produce extruded sheet plastic to sell to manufacturers. 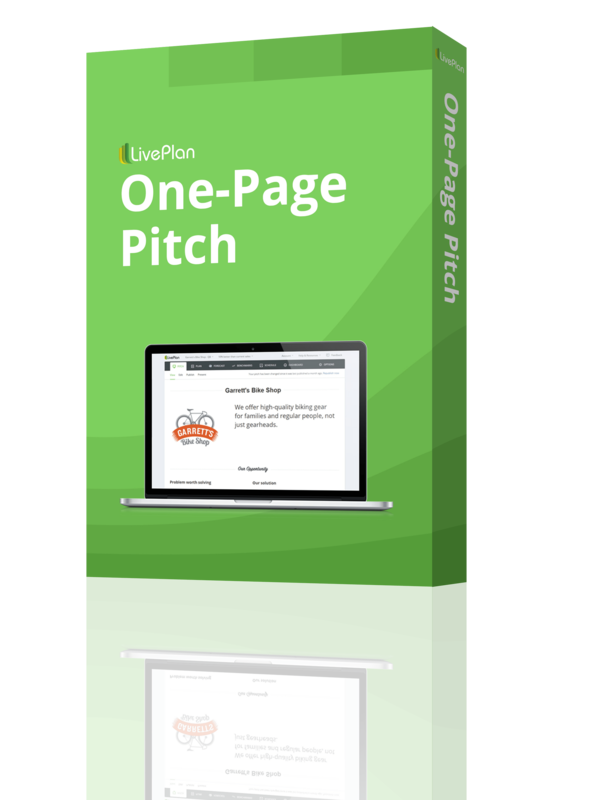 Find startup funding. Replay Plastics needs to investigate its options for obtaining capital. Funding a new venture can take time, and because it’s the step one of the long road to revenue—they must secure funding before they begin construction, and they must complete construction before they can begin revenue-generating recycling operations and packaging material production—time is of the essence. Luckily, they have already written their business plan, which is often required by prospective lenders and investors. Hire for growth. Replay Plastics may want to consider adding a research and development team, to investigate new product possibilities and keep the company’s operations well prepared for any changes in state or federal environmental regulations. NovOculi, Inc. is a start-up company that has designed—and plans to develop and market–ophthalmological surgical tools and a unique method of incisionless refractive correction dubbed NICS (Non-Invasive Corneal Sculpting). Current refractive techniques, like LASIK, require destruction of a portion of the protective epithelial layer overlying the cornea of the eye and are accompanied by complications resulting from this loss of protection. NovOculi employs a method involving iontophoresis, an ionic dye, and a wavelength-specific laser to accomplish effective refraction without the troublesome destruction of the epithelium. Access startup capital. NovOculi needs to investigate its options for obtaining capital. Specifically, because NovOculi is seeking equity investments, the company needs to look into venture capital funding and angel investments. Relationships with distributors. 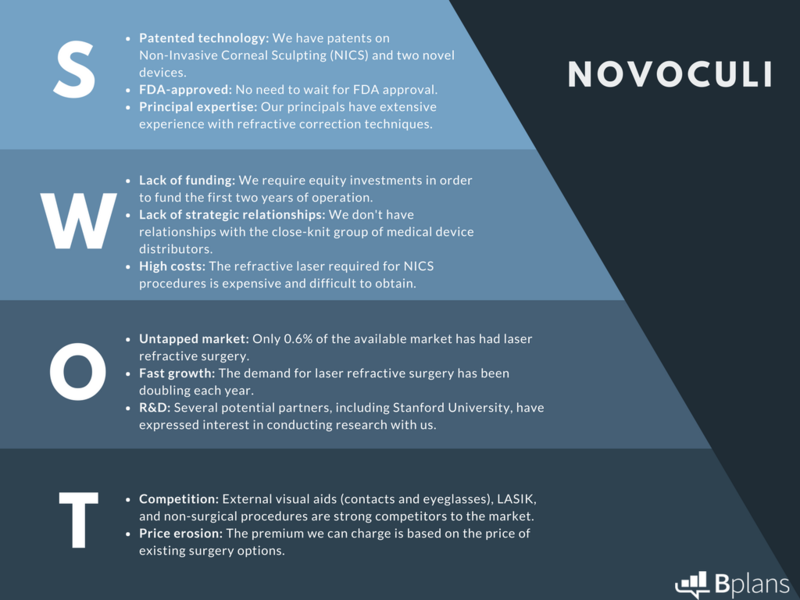 A weakness that may deter investors is NovOculi’s lack of relationship with the medical device distribution community. A great idea is worth nothing if it can’t be implemented well, and a key to implementation, in this case, is a strong sales and distribution channel. NovOculi is going to have to figure out how to build relationships with medical device distributors, whether that means attending expensive industry conferences, leveraging research relationship with institutions like Stanford University, or developing incentives for the distributors.